Hours of Operation: Mon - Fri 2:00pm - 7:00pm; Sat - Sun Noon - 5:00pm; 20320 86 Ave., Langley BC. 21 items that are key to resale value and a quality condo. 3. Parking: Every suite has 2 parking spots! One of the first things buyers ask: Can we have natural gas? Bedrooms and kitchens have an electrical outlet that includes 2 USB charging ports, eliminating ugly adapters all over the place. NOTE: High quality leads to low strata fees. Old fashioned construction and most high-rise buildings have 8 foot high ceilings. 9 foot ceilings offer a much airier elegant feel. Regular style doors are 6 foot, 8 inches (6’8″) tall, hollow core. At Yorkson Downs we have solid core doors that are 7 feet tall to match the upscale feel of the 9 foot ceilings. Ceilings is some areas, such as bathrooms, are lower. Some ceilings in top floor suites are vaulted, between 11 and 12 feet off the floor. Everyone in the Lower Mainland wants to be able to connect to our world-class SkyTrain system. The ExpressBus/SkyTrain also connects Langley to Vancouver International Airport. Yorkson Downs is near the Langley Park & Ride. TransLink and the Provincial Government recently completed a $55 million SkyTrain Park and Ride express service from Langley to the SkyTrain. 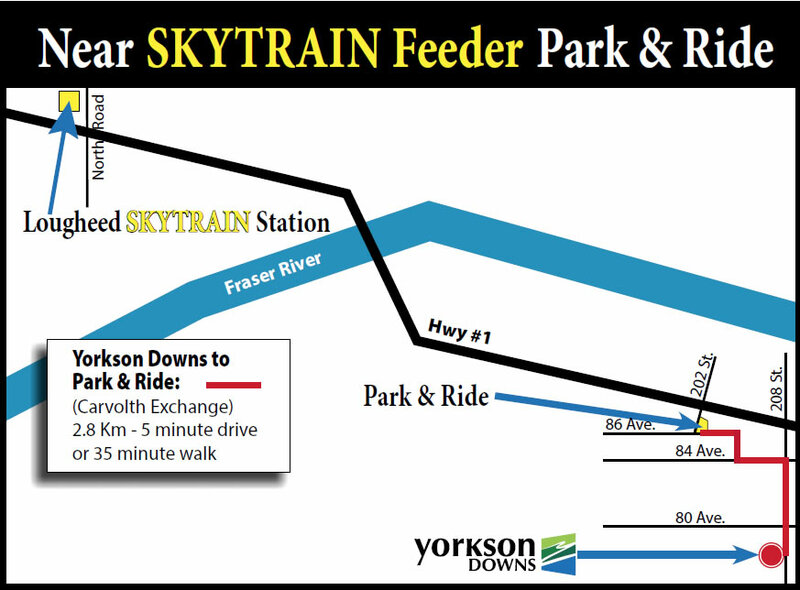 This facility, the Carvolth Exchange and Park & Ride, is only a 5 minute drive from Yorkson Downs. Express Bus #555 connects directly to the Lougheed SkyTrain Station with only 1 stop. Please go to www.translink.ca for full details. There is a regular bus stop near the corner of 88th and 208th. Ceiling systems include sound dampening insulation. Older buildings are notorious for sound transmission between suites. 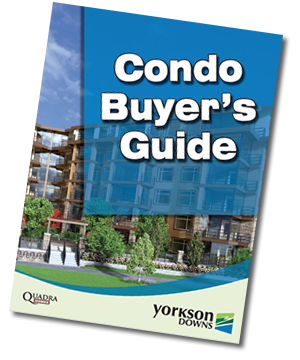 Yorkson Downs goes many steps beyond what is required in the building code. 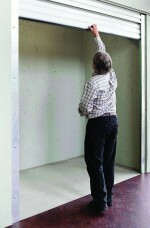 Even with this extra acoustic work, you will still be able to detect other people living in your building. At Yorkson Downs, monthly strata fees are low, estimated at $223 for 2019. Each suite also includes a front loading washer and dryer; and an in-sink kitchen garburator.